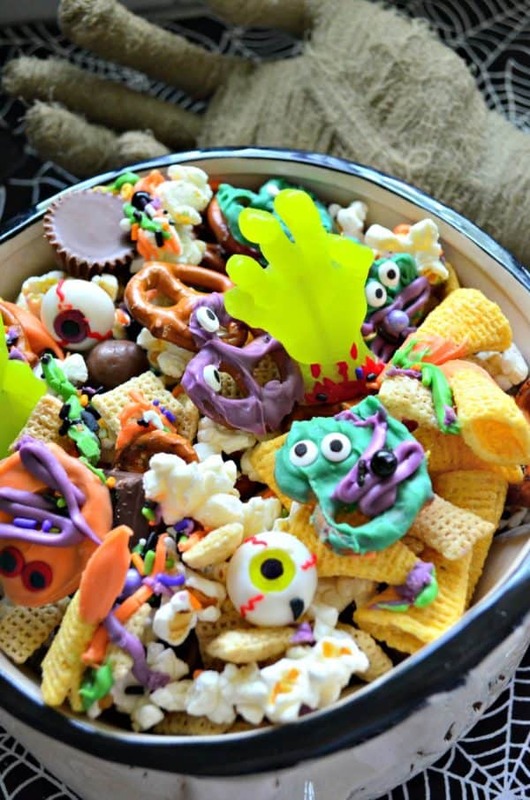 Enjoy this sweet and salty Halloween Snack Mix at your next Halloween party. 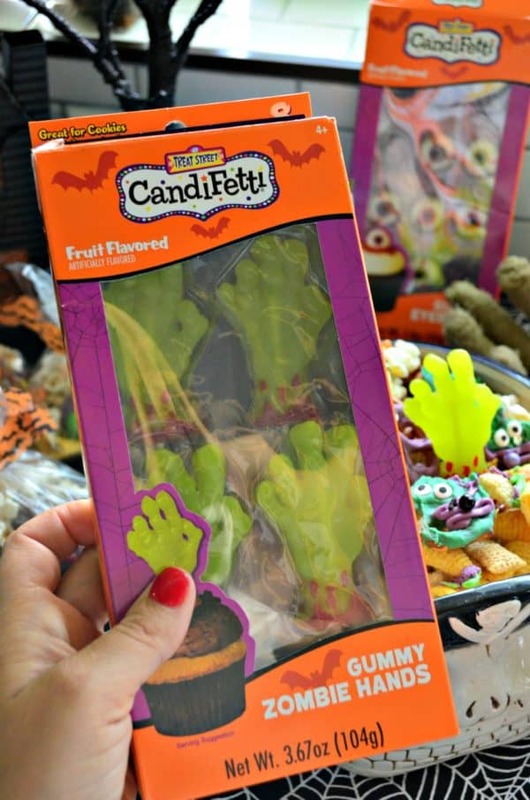 The perfect way to use up candy plus add in the salty like pretzels and bugles. This Halloween Snack Mix is addicting. I say that as I’m typing this post and eating a bag full of this mix. 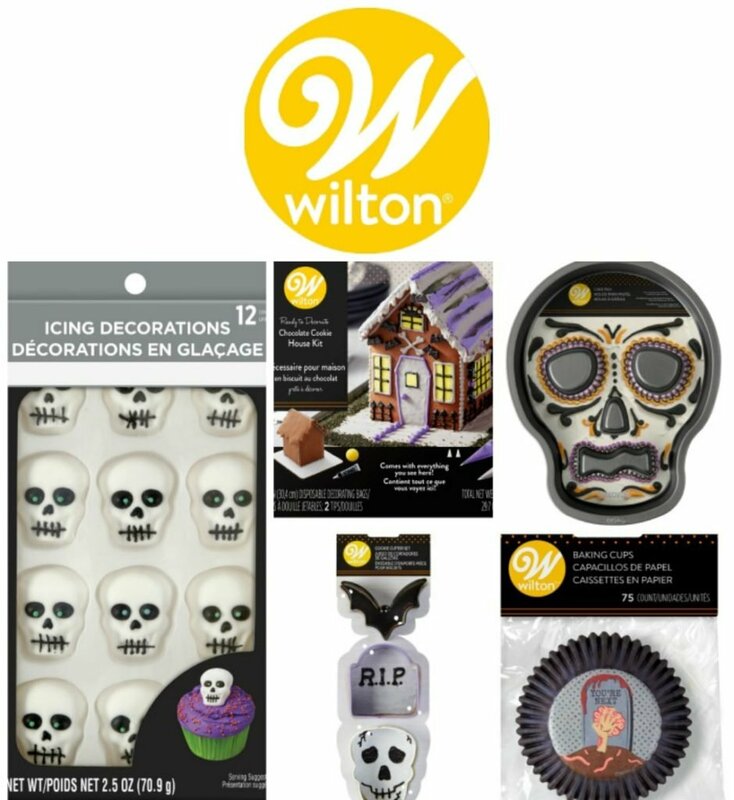 If your looking for a fun way to incorporate some Halloween candy and don’t want the kids wired on all the chocolate this is the way. 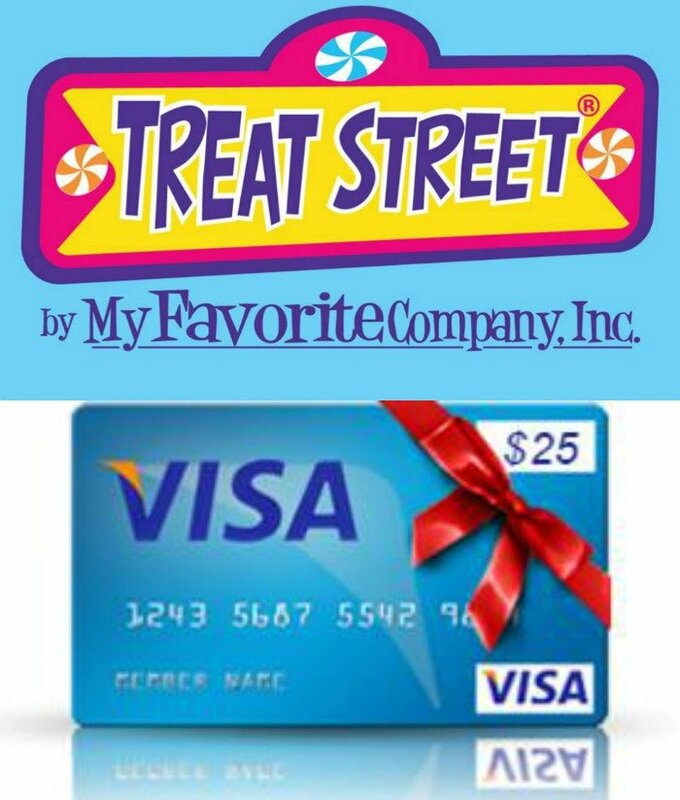 Kids get hungry and we all know that candy is not going to fill their stomachs. 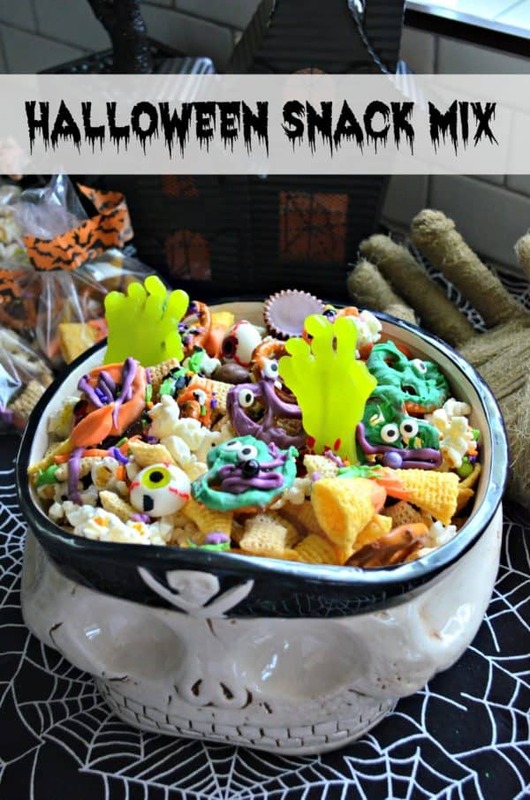 Why not make a mix with pretzels, popcorn, bugles, and Chex cereal plus a light drizzle of colored white chocolate, sprinkles (lots and lots of sprinkles) a few pieces of chocolate candy plus fun gummy Halloween candies. That combo of a mix is sure to be a crowd pleaser for both young and old. 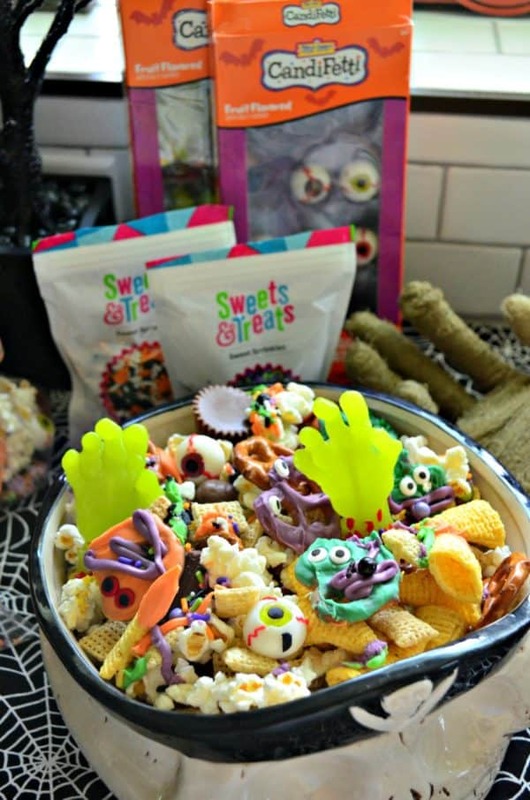 How do you make Halloween Snack Mix? I start by gathering all my ingredients on the counter. I like to use the largest bowl I have. You want to start with the snack like foods first like the bugles, chex, pretzels, and popcorn. Then add in half the chocolate bars. I melt each colored white chocolate individually and drizzle with a spoon. Then add sprinkles. Repeat until you are done with however many colors you would like to add on the popcorn. Place the mix in the refrigerator so the chocolate will set. Add the gummies once ready to serve. Easy as that! Treat Street also sent me these awesome Gummy Zombie Hands and Gummy Eyeballs. I’ve been having to fend off my four year old from both of these. Yesterday, I shared my recipe for Chocolate Covered Pretzel Monster Bites. These are the perfect addition for my Halloween Snack Mix. 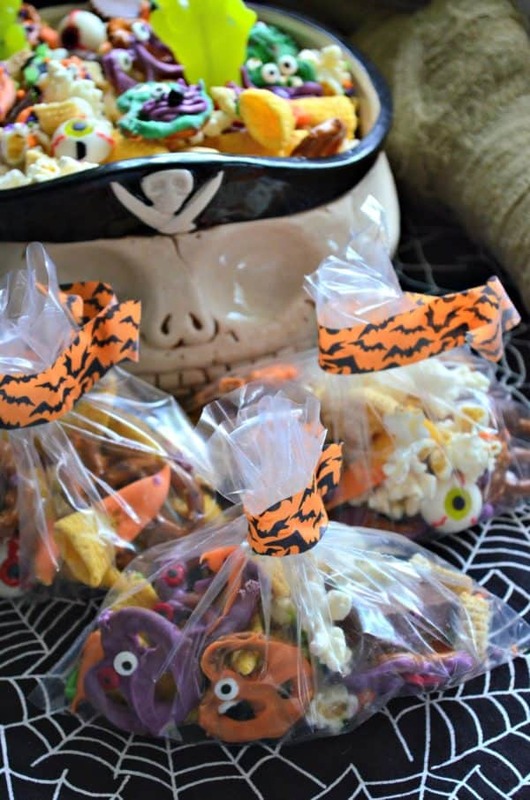 What supplies do you need to make Halloween Snack Mix? 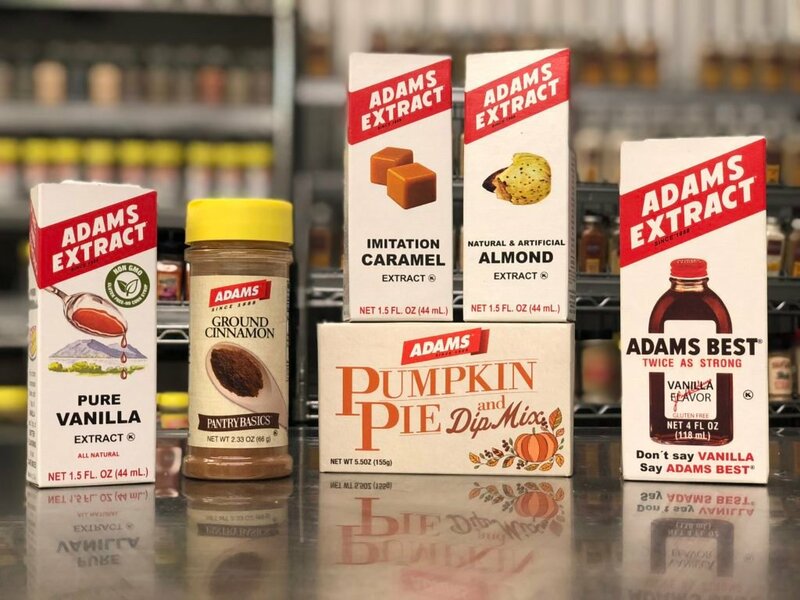 Here are all the items I used for my Halloween Snack Mix. The great thing about this snack mix is that you can mix and match and their really isn’t a wrong ingredient to put in it! The day I made this snack mix, I packaged them up and brought them to my son’s school as a fun after school treat. All the kids loved them, and most parents did too! 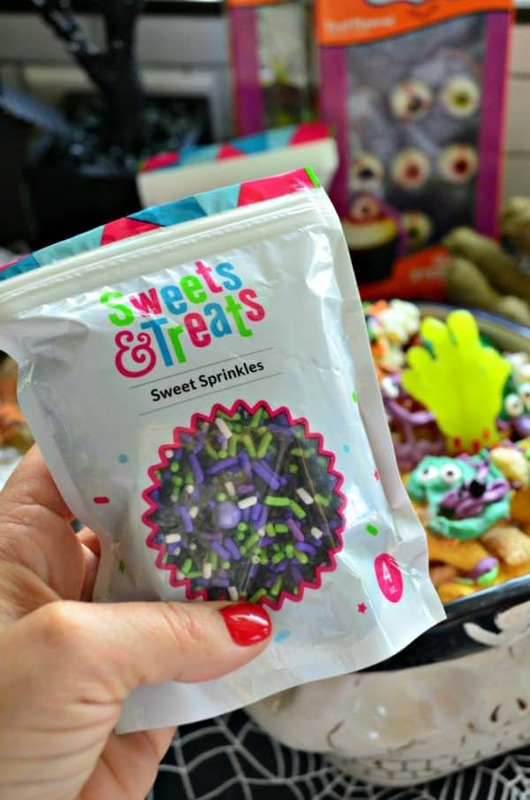 I plan to make this mix for our Halloween party this month, and prepackage them into snack bags for kids and adults to enjoy at the party or later on at home! 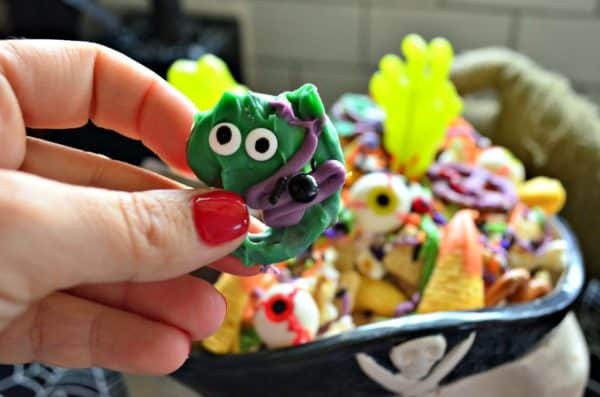 If your having a party or need to make something for a Halloween party–I think you’ll love my easy recipe for Halloween Snack Mix. In a large bowl, combine the popcorn, plain Chex cereal, bugles and plain pretzels. Mix well then add in the Chocolate Covered Pretzel Monster Bites plus all the mini chocolate bars. Toss again (make sure you save half the candy for the top layer since it's heavier it will immediately sink to the bottom when you start to toss. Melt the chocolate melts separately and drizzle on top of the mix. Then sprinkle with sprinkles. Set in the refrigerator for 15 minutes so the white chocolate hardens. Lastly, add in the gummy eyeballs and gummy zombie hands. Set out for friends and family to enjoy OR scoop into bags to hand out at a party. 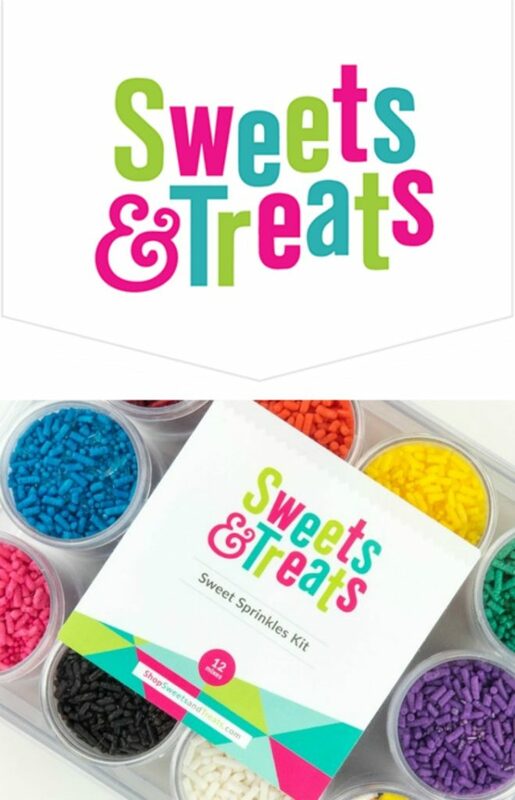 Disclaimer: I received the sprinkles and gummies for free. I am not being paid to promote these items. All opinions are always my own. There are affiliate links in this post. That means if you click on this post I will receive a small portion of the sale at no additional cost to you. My favorite Halloween dessert is frosted sugar cookies.